When you decide that it’s time to remodel your kitchen in Wesley Chapel, Florida, allow the experienced, professional team at KitchenAlity to complete the job for you. 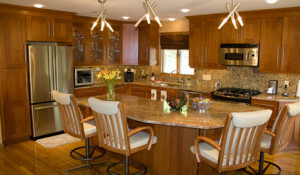 From installing new cabinetry and countertops to replacing your flooring and even constructing kitchen islands, we truly offer it all, and we’ll be pleased to help you put some personality in your kitchen. For further information about KitchenAlity and the kitchen remodel services we provide to homeowners in Wesley Chapel and surrounding FL communities, please contact us today. When you do, we will schedule an in-home meeting for you with one of our professional kitchen designers to begin the process of turning your current kitchen into your dream kitchen.